Summa pia gratia nostra conservando corpora et cutodita, de gente fera Normannica nos libera, quae nostra vastat, Deus, regna, "Our supreme and holy Grace, protecting us and ours, deliver us, God, from the savage race of Northmen which lays waste our realms"
Viking Age longships were generally characterized as being slender and flexible boats, with symmetrical ends with true keel. They were clinker built, which is the overlapping of planks riveted together. A dragon's head to ward off evil spirits at sea or circular object protruding from the bow and stern The majority of Viking ships were designed for sailing rivers, fjords and coastal waters, while a few types, such as the knarr, could navigate the open sea and even the ocean. Apart from their stereotype raiders image, the Vikings were also highly skilled craftsmen, traders, settlers, navigators, poets, lovers, story tellers and much more. 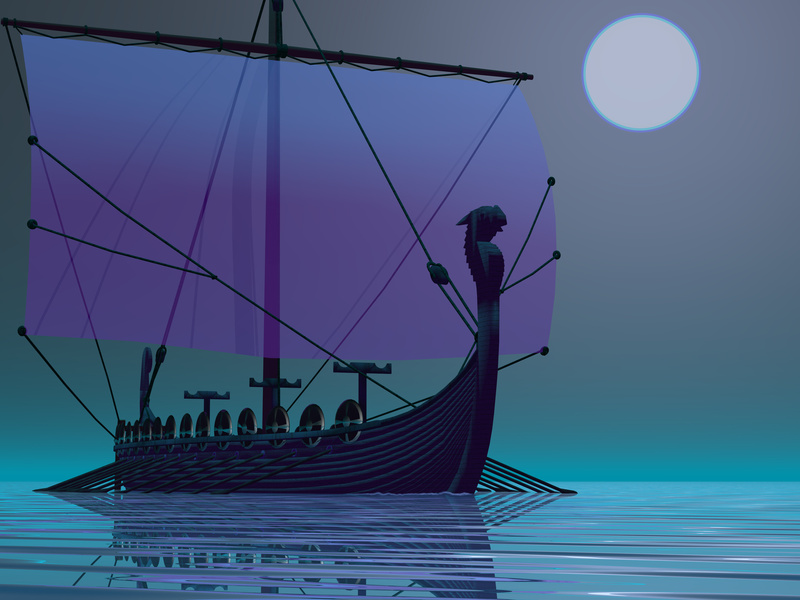 This Viking Longship is for navigating inside people's imagination to open up their knowledge of the Old Ways long since forgotten or lost to us through the vast passage of time. Welcome to Northvegr.net. This web resource is created to advance understanding and knowledge on Old Norse Mythology for the academically inclined as well as the laymen who are seriously interested in learning more about their historical ancestral heritage stemming back from around the time line that was the late Iron Age and the heathen era.